1) Pick the pep band that has the wackiest/ugliest/goofiest uniforms! See Indiana University and their 5 National Championships in 38 NCAA Tournament appearances. Those unis are just...well....how do you say it? This is science people! If you think a pep band has cute uniforms, don't pick them. Sorry IU, we know it's tradition, but damn those unis are ugly. 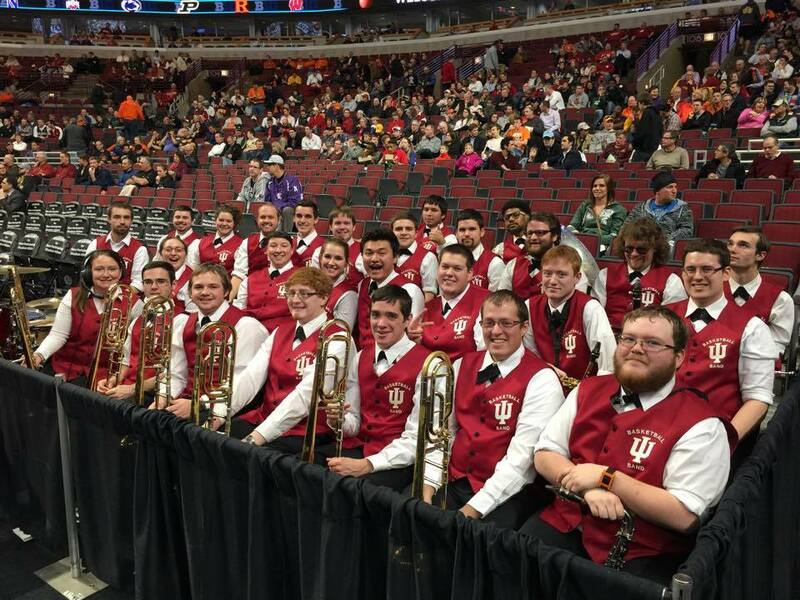 Since Indiana is out of the big dance this year we suggest you go with the fun and crazy outfits that will be worn by the Dayton Flyers or Notre Dame Band. Don't forget it will be St.
Patrick's Day this weekend and Notre Dame will be dressed to impress! Could the luck of the Irish hit hard on St Patty's Day sending them to the Sweet 16 this year? 2) Does the pep band director dress and dance like a rockstar? See the George Mason Green Machine. Doc Nix joined in 2006, the fall after they went to the Final Four. They have returned to the Dance twice under his watch. Coincidence? I think not. While George Mason is out of the big dance this year we expect Doc Nix to make it back to the center stage of March Madness soon. Other Directors to keep an eye on, David Plack at FSU. He may be the most diehard FSU sports fan we know and provides a ton of energy into the Seminole Sound. 3) Love other sports? You're in luck! 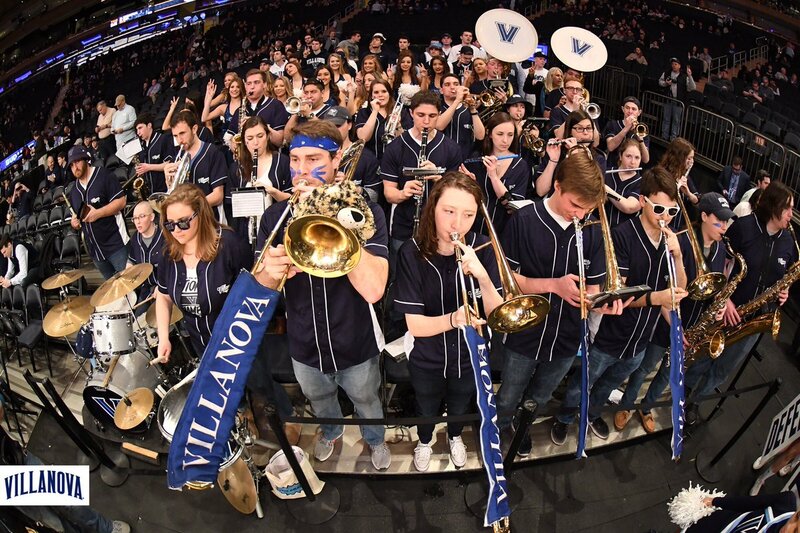 Finding a pep band sporting their hockey or baseball style pep band uniforms at a basketball game is now a thing. Like a totally legit thing that big basketball programs are totally okay with and because I'm from the northeast and love hockey I'm totally okay with it too. You started it Iowa State and Villanova. Obviously advancing to the round of 16. Just a reminder that Villanova did in fact win the National Championship last year...just saying. This year Villanova switched from the hockey uniform to the baseball uniform to change things up. They even have nick names on the backs of their jerseys. Love it. 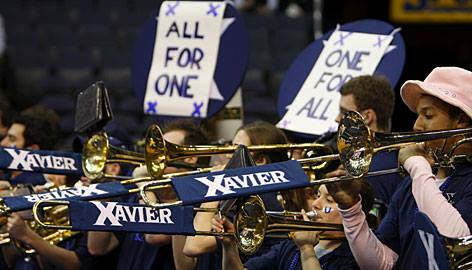 4) Which pep band paints their face better? See the Butler University run to the Championship in 2011. This is simple boys, face paint = victories. By the way, Butler's face paint will be on display during this year's tournament because they are in it again and are a pretty good seed. Watch out for Vermont too. They won't shy away from face paint and just a friendly reminder that have won 21 games in a row. 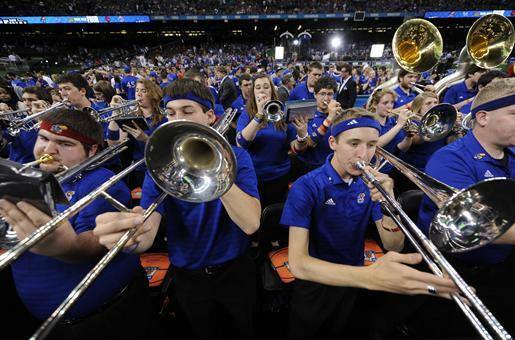 6) Does the pep band use legit performance horns and wear white marching gloves to limit hand oils on instruments? See the University of Michigan's run to the championship in 2013. You can't fault a band for trying to keep their horns clean! Your mother would be proud. Oh and who are the B1G Champs this year? Michigan! White gloves for the win! 10) And finally when the camera comes on who are you going to take in a dance battle? Last year we watched as multiple bands competed in dance offs during the tournament and honestly it wasn't even close. UNC is a lock to repeat in the dance offs. Oh, and UNC is a 1 seed this year. Watch out! Good luck out there everyone and remember these 10 tips as you fill out your brackets! Join our bracket challenge this year and if you win we'll donate $100 to your favorite band program: HERE the password is marchingband. It's 100% FREE!